Tough warning self adhesive safety tape to protect people and equipment. 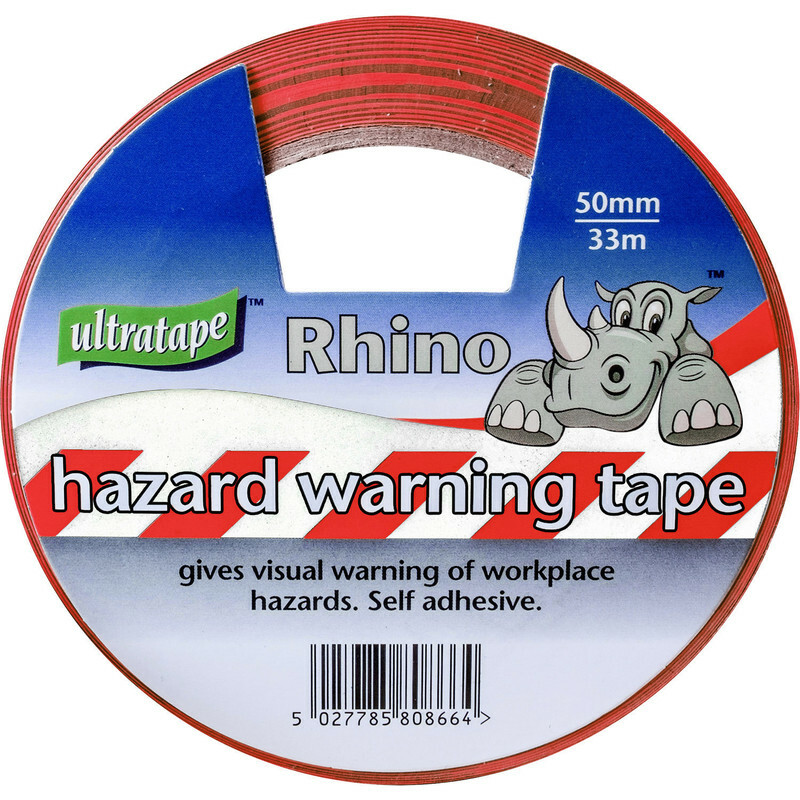 Hazard Tape 50mm x 33m Red & White is rated 3.9 out of 5 by 7. Rated 4 out of 5 by Lionheart from DOES THE JOB! Does the job well - and at a good price. Rated 5 out of 5 by Meester Chris from Thick & Sticky Thick tape, good and sticky too. Used to highlight a swollen timber on the steam train platform, stuck like a good ‘un. Rated 4 out of 5 by theresamay from Hazard If you position this below 18'' high, people trip over it. So it lives up to its name. Rated 5 out of 5 by NCRob from Good quality heavy duty tape Good quality heavy duty tape. Great service and fast delivery from Toolstation. Rated 4 out of 5 by Grez from Product found straight away Used product - no issues and works well, very sticky.